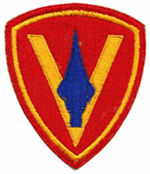 This page is for photos, stories and videos from living history events or reenactments related to the 5th Marine Division or the U.S. Marine Corps. If anyone has anything to share, please contact the webmaster so I can list it here. 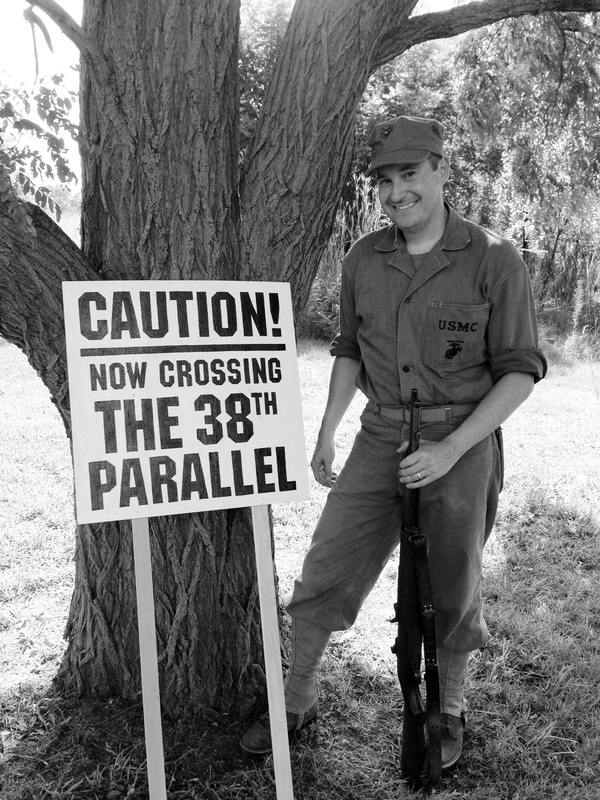 I attended the first annual Heritage Days Timeline Event at Ft. Atkinson, Nebraska on Saturday, September 5. 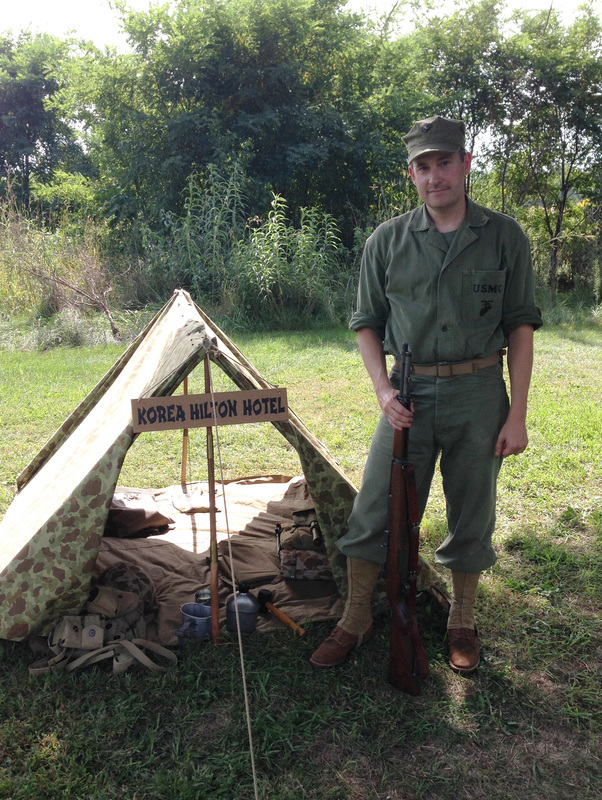 I chose to portray a U.S. Marine from the Korean War. 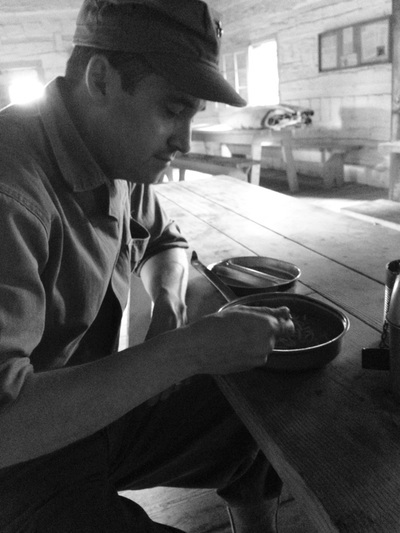 Along with a World War II buddy of mine, we set up a small encampment early in the morning and were treated wonderfully by our hosts at Ft. Atkinson who offered us coffee and breakfast as soon as we arrived. 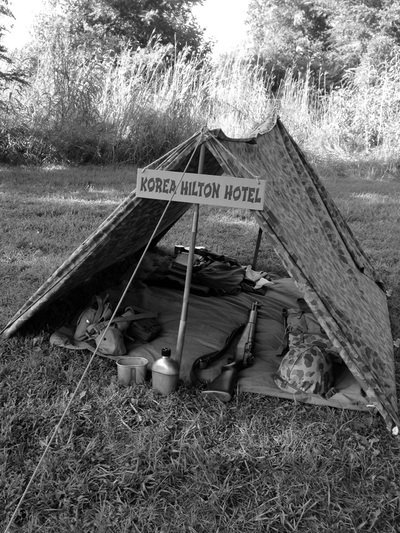 My Korean War display had an assortment of U.S. Army field gear and uniform items under a half shelter and I also had a Marine Corps shelter tent I named the "Korea Hilton Hotel". After squaring away our camp we made our way down to the fort where we spoke with several of the 1820's reenactors as well as members of the public. We met an amazing gentleman named Charlie Money, a 1st Cavalry Division veteran of the Vietnam War. He spoke to us for nearly half an hour recounting story after story from his time in country. After speaking with Charlie, we downed some grub back at our base camp and later took part in a weapons demonstration. Along with our 1820's counterparts, we demonstrated the differences between firing techniques and loading speeds from the 19th century to the 20th century. At the end of the day we were also honored to take part in the flag lowering ceremony for the fort. It was a great experience and one I'm excited to take part in next year.